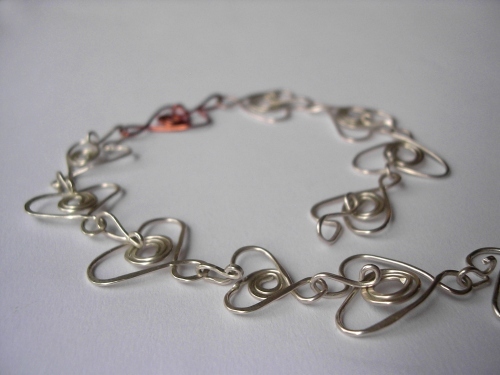 This versatile and easy to make Wirework Heart Motif can be used as a clasp, pendant, bracelet component or even earrings. This complete step-by-step tutorial contains all the instructions and photos you will need to make your own motifs. All necessary techniques can be downloaded for free, please see below for details.